All above visited last 14 months. Lots of other good places out there. If I didn’t get to your place last year, maybe we’ll meet in 2015! Hard to keep track - might need a reminder! In a small kitchen, on the oldest terrace in Cork city, with much perspiration and no little inspiration, Head Chef Kate Lawlor works the magic for her many customers at No. 5 Fenn’s Quay. Both Kate and the building in which she operates are Cork treasures. And what it is this exotic material that she turns to culinary gold? Nothing exotic at all, in fact. The produce comes from the local farms and seas, much of it via the familiar stalls of the nearby English and Coal Quay Markets. The magic has been acquired through years of hard work, watching and learning and doing, her long hours in the heat and steam often repetitive but sometimes brilliantly illuminated by a flash of inspiration. There was quite a buzz there when we called in last week, happy customers by the sounds of it. The menu, quickly delivered to the table, and the Specials Blackboard on the wall, told us why, and soon we were reading our way through the offerings, the only problem being that if we choose one gem, another was to be remain untouched! 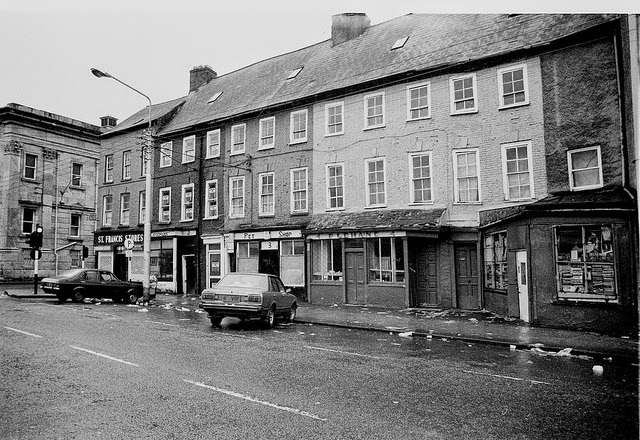 The 18th century terrace at Fenn's Quay pictured 1986.
is where the restaurant now stands. There is a Fish Platter (to share) on the specials but we go for two of the regular starters. 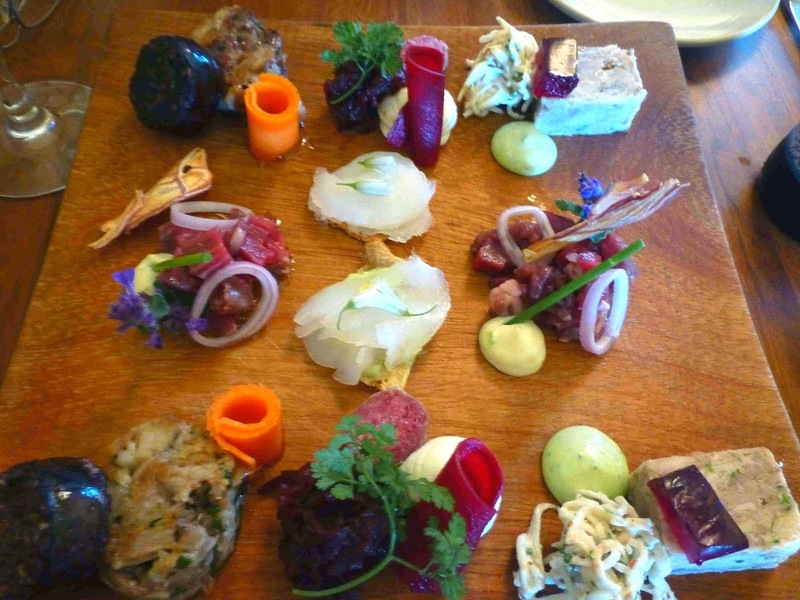 Eoin O'Mahony is one of our favourite butchers and is also a favourite at Fenn’s Quay and the O’Mahony’s Pressed Ham Terrine, Pickled Quail Egg with Celery Salad & Lemon Aioli is a delight, every bit polished off. The other starter is even better, perhaps the result of one of those magic moments. I absolutely enjoyed every morsel of the Chicken Liver Brûlée with Crozier Blue Cheese Ice Cream & Red Onion Compote. What a combination! It had beautiful textures and flavours, even the toasted bread was conveniently curled to hold the paté. All it lacked was a small spoon to take up the final drops of the Ice Cream. Despite tempting chicken (O’Sullivan’s), O’Mahony’s feather blade with Ballyhoura mushrooms, and more, we both picked fish specials (from O’Connell’s) for mains. 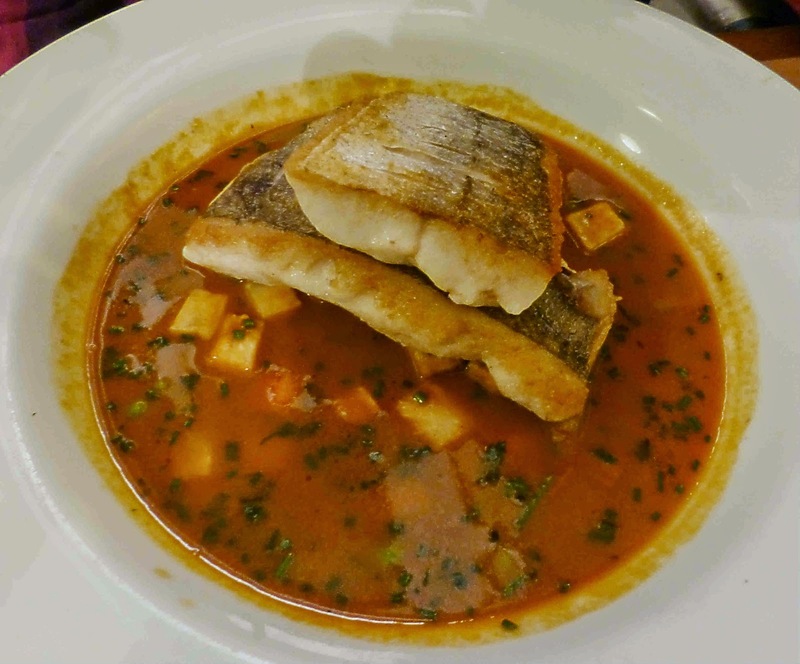 CL loves her hake but, this being Fenn’s Quay, the dish was somewhat different: Roast Hake and Gubbeen Chorizo, chickpeas and seasonal vegetables in a mild spicy broth (15.95). This was a gorgeous dish and the spice, mild as stated, went well with the hake. And matched too with the wine we picked, the tingly multi-grape Claude Val blanc 2013 (Languedoc). 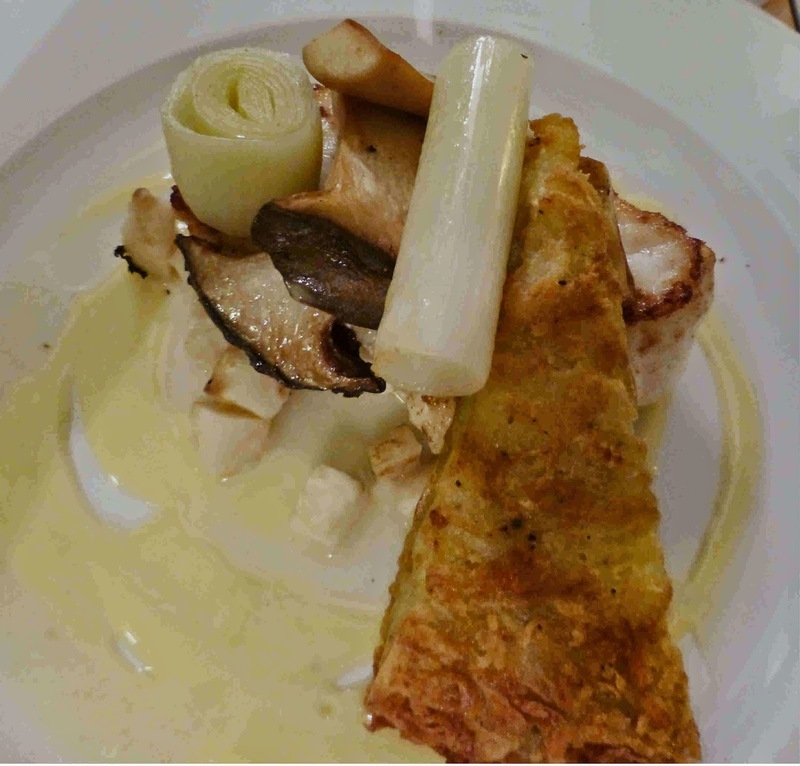 Indeed, the wine was also suitable with my mains: Pan-fried Monkfish and potato rosti, braised leeks, celeriac and king oyster mushrooms in a delightful lemon butter sauce. I could have eaten any part of this on its own but put it all together as Kate did and it is top notch, all the ingredients (including that sauce) so well measured, so well matched. And could she surprise us with dessert? Could she what? 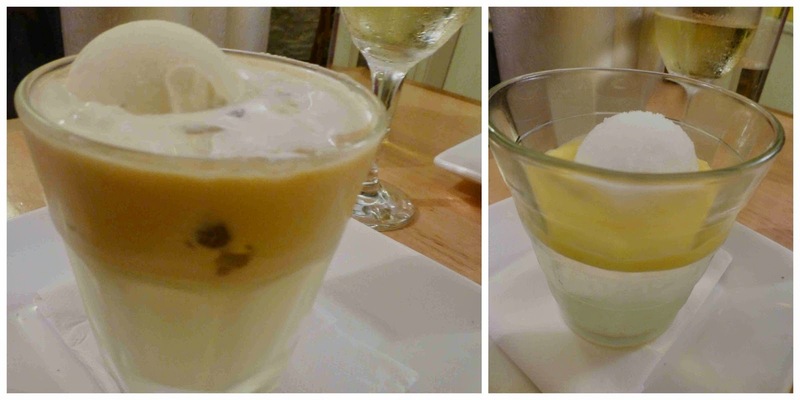 We went for the Mimi’s Cork Dry Gin and Tonic Dessert and the Vanilla Carrageen Moss with Seasonal Fruit. Where else would you get them? Beautiful. Terrific finalé to a very enjoyable meal. Have to say before I finish that the service was excellent here. Our server was busy but still had time for a brief chat or two and a laugh or three. And she spotted that we were out of water before we had to ask for it. On the ball. Just like her hard-working chef-patron. Desserts, Carrigeen Moss (left), Gin & Tonic. Here we are in our townhouse in Arcachon, about 40 minutes from Bordeaux, after a long but very pleasant trip from Ringaskiddy, the highlight of which was perhaps another top class meal on board the Brittany Ferries ship, the Pont Aven. We left Cork Harbour on Saturday. 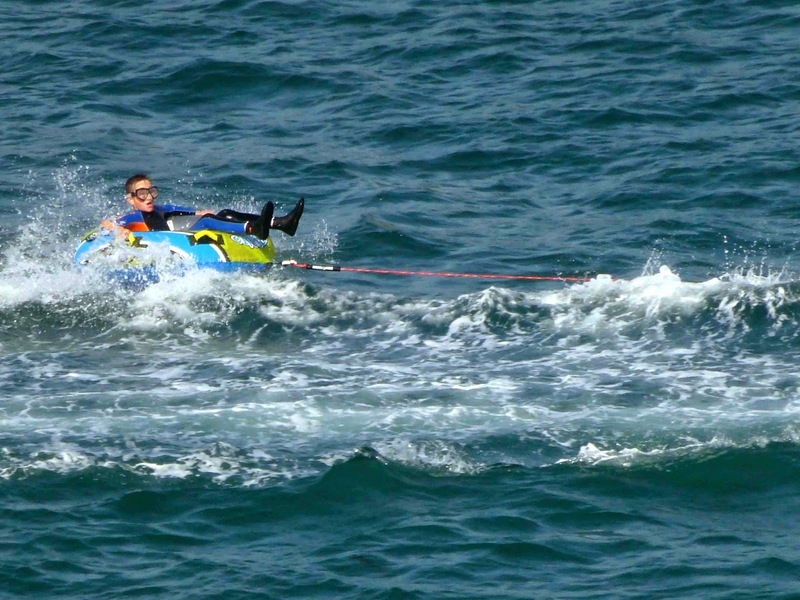 It was quite a lively stretch of water that afternoon. 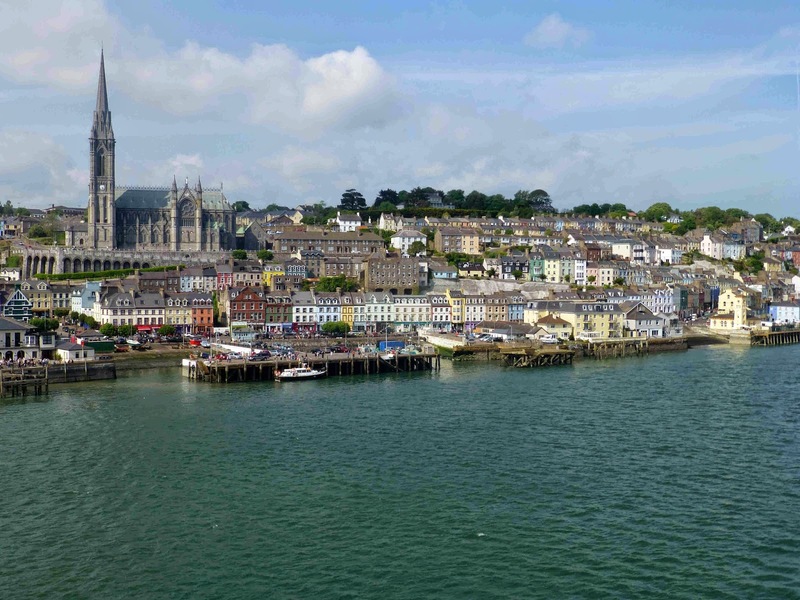 There were no liners at anchor but Cobh still looked resplendent in the sun. Tugboats, recently featured on the TV3 programme about the harbour, were busy berthing a tanker at Whitegate while the Pilot Launch moved right alongside to extract the local pilot from the Pont Aven after we had passed Roche’s Point. We actually missed part of the journey down the harbour as we had to join the line to book our meal in Le Flora. Well worth it though, as you can see from the photos. After a smooth crossing, including a drink with fellow blogger Karen Coakley (and her family), we arrived in Roscoff at 7.00am local time and got off about 40 minutes later. We had a meeting set with the keyholder in Arcachon for 5.30 and we arrived to meet Madame H. about seven minutes before that. Thank you Miss Sat-Nav, better known as Susie. 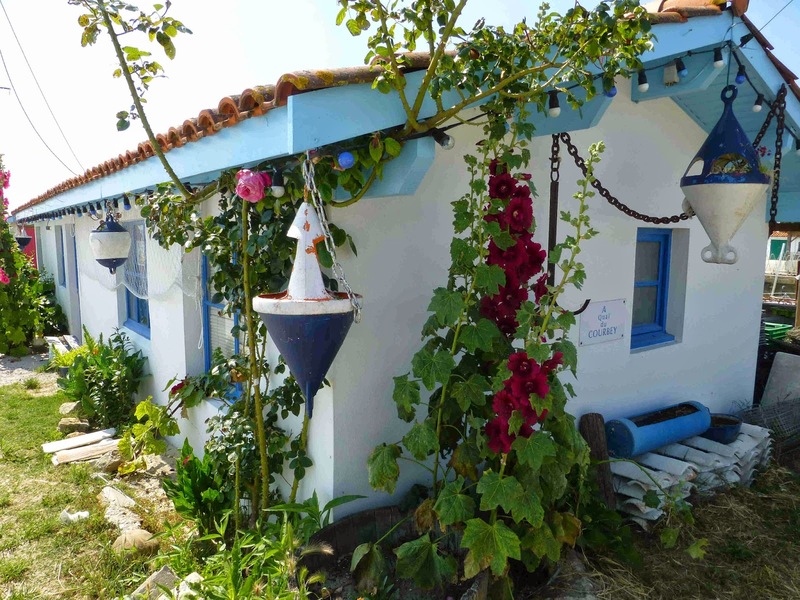 The house is quite large and very central, very close to the marina and the beaches. 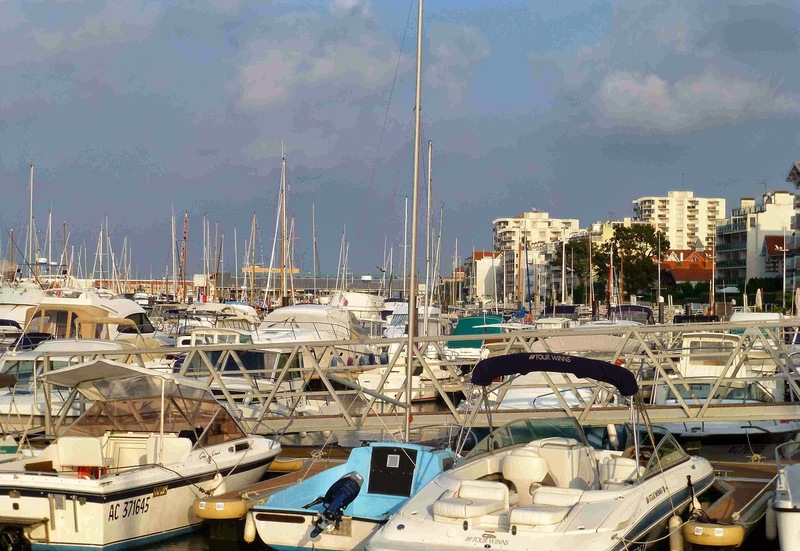 We took a walk that Sunday evening on the seafront and, while I have seen some huge marinas in France, I don't think I've ever seen so many pleasure craft in the one place. On a very sunny Monday morning, we headed to the Centre Ville and wandered down to the pier from where the passengers boats depart for various trips on the Bassin, essentially a large inland sea that has a narrow “neck” to the Atlantic. I always advise people to do two things on arrival in a French town. 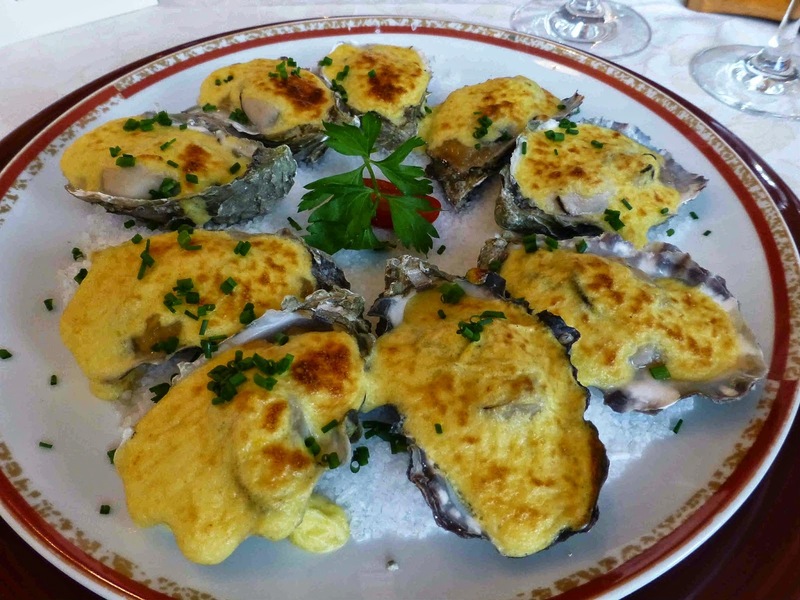 Find the Tourist Office and find a good traiteur. We did both that first morning. Got lots of maps and brochures in the Tourist Office and bought lunch and dinner from the traiteur. The traiteur is an institution in France. They have top quality ready made meals and snacks for sale. Sometimes you may eat straight away, sometimes you may have to reheat in the oven or microwave. For lunch we enjoyed a gorgeous Ham and Olive Cake and the main course at dinner was a beautiful Mousaka, that washed down with a bottle of red Graves. Spicy Lamb and red wine. The dinner came at the end of a trip to the other side of the Bassin, to a town called Andernos Les Bains. The Bassin is of course tidal and here at Andernos the effect is dramatic as some three quarters of the water flows away leaving many boats high and dry for hours. No wonder, it has a very long jetty - I read somewhere that it is the longest in France. Still, the resort is very very popular with families. And, as we left, there was a procession of fishing boats, coming up the channel as the tide started to return. There is a large fishing industry here, including all kinds of shellfish, so you can take it we’ll be eating some. 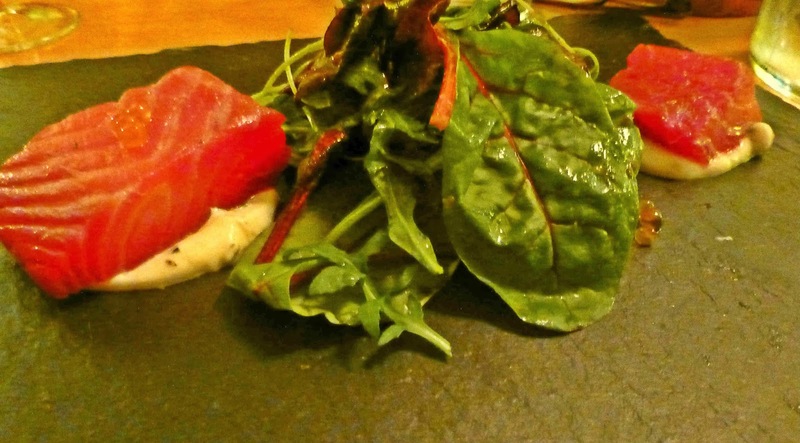 West Cork’s well established Celtic Cook-off came to the city last Friday night to celebrate. 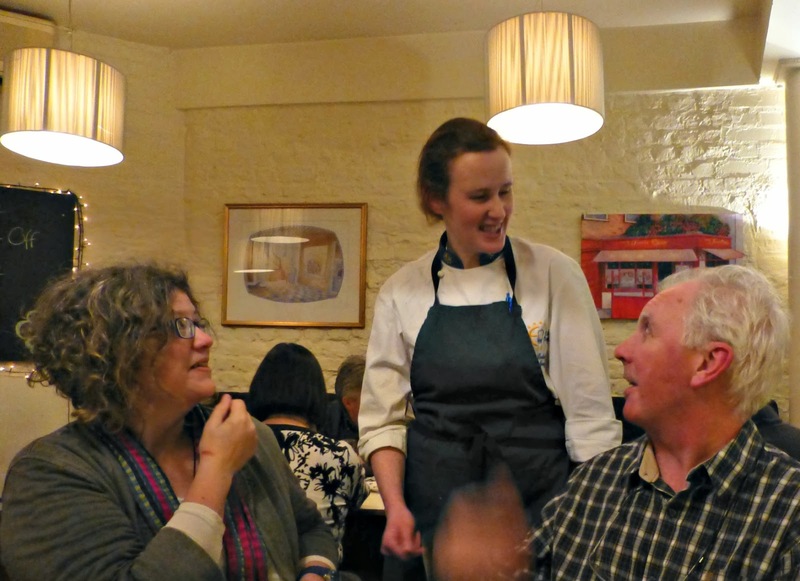 A team of Scotch chefs visited last week and Fenn’s Quay’s Kate Lawlor, a contestant in last year’s Skibbereen showpiece, decided to join forces with the visitors and host a dinner In Celebration of the Celtic Cook-off. And weren't we lucky that she did. Great too that the West Cork Hotel and Braehead Foods came on board and joined in the fun on the night. It was a magical meal. A terrific mix of company and a stream of fantastic food from the little kitchen at the back of the well loved restaurant on Cork’s oldest terrace. The weather outside wasn't the best but we soon warmed up with a wee dram of Scotch thanks to Neil Grant and the West Cork Hotel and a taste of Avril Allshire-Howes’ renowned black pudding bread. And then we were up and running, the chefs on song and front of house also playing a blinder. 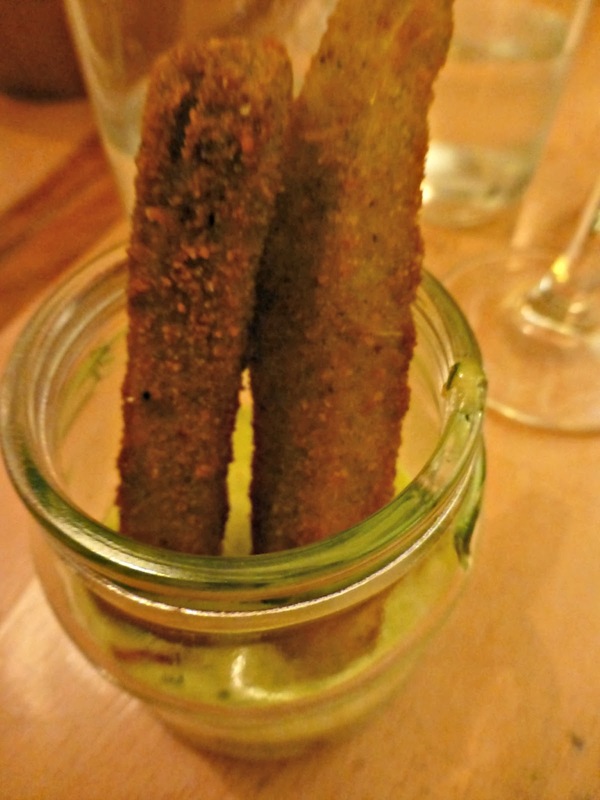 Crispy Salsify with West Cork wild Alexander dipping sauce and bacon dust (Fenn’s Quay). The high standard was set here. When the Salsify was finished, people used all kind of tools and methods to get the rest of Alexander sauce out of the bottom of the little jar! Seared Highland venison, roasted beetroot, piccalilli dressing (Joe Queen and Jim Hood, Braehead Foods) This came on a shared plate; the venison, sliced thin and enhanced by the beetroot and dressing, was a delight. 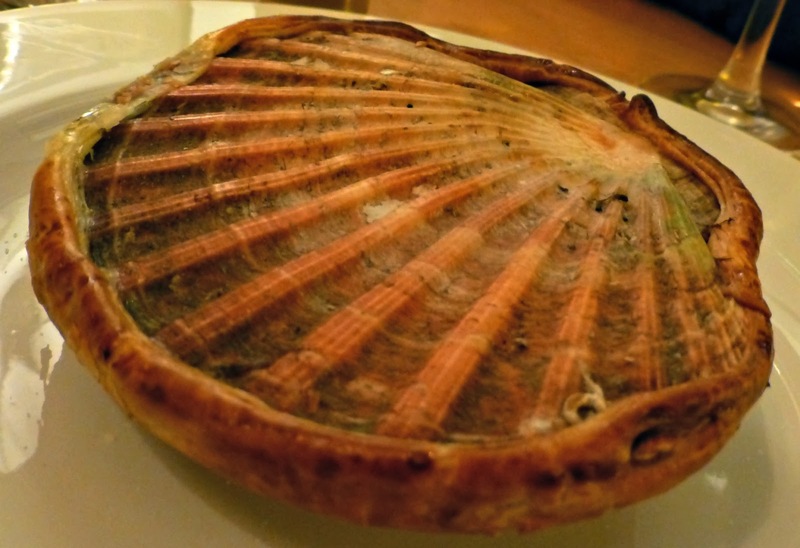 West Coast scallop baked in shell with Iasc Irish Shellfish Butter (Alan, Loch Fyne) A big shell that, once opened, revealed a memorable combined flavour of fish and that delicious butter. Fillet of Scotch beef, truffle parfait, cured ham, stovie fondant tattie, medley of seasonal vegetables, Madeira, shallot and Arran Mustard Essence (Joe Queen and Jim Hood, Braehead Foods) This, the biggest plate of the evening,was also a highlight. 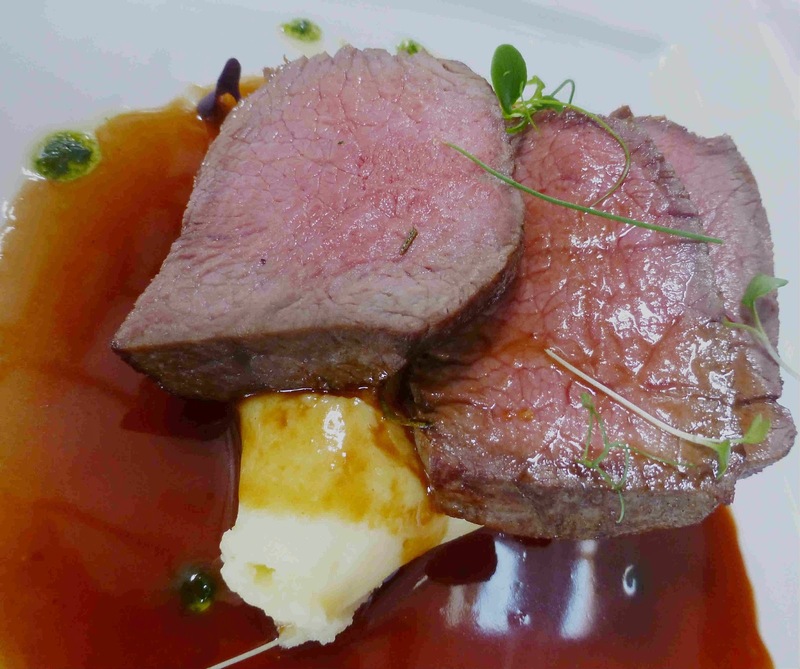 The mouth-watering hunk of top notch beef came with a whole ensemble of supporting flavours, even the humble tattie more than holding its own. 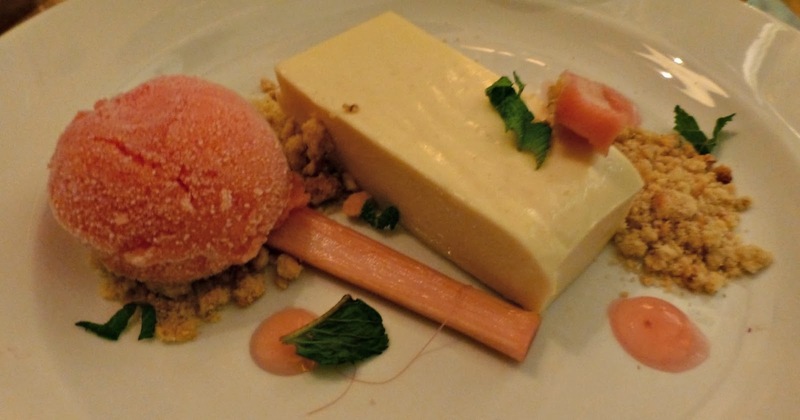 Carrageen moss with blood orange and Brecon Gin Sorbet and poached rhubarb (Fenn’s Quay). 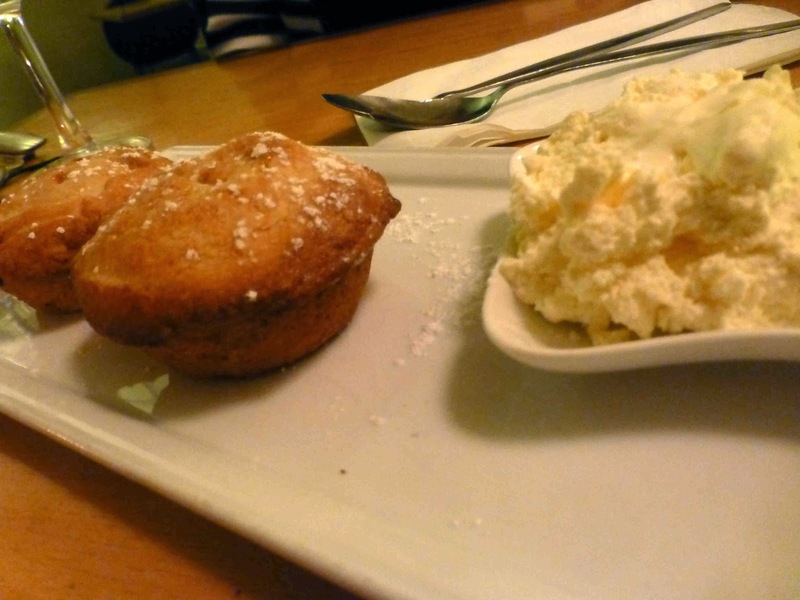 Sometimes a big meal is followed by a big dessert, a step too much for many. But not here. 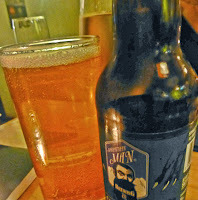 This was light delight, a superb Carrigeen the highlight. Mella’s Fudge (award-winning West Cork fudge). I have long been a fan of Mella’s West Cork fudge and I reckon she made a few more friends last night. Maybe, in some cases a day or two later, as quite a few pieces of the fudge ended up in handbags along with the whiskey miniatures. All the better to relive the memory of a lovely night in Fenn’s Quay when we were all winners as Ireland and Scotland played out a friendly in the kitchen. Fenn’s Quay. Keeping it simple. Simply Superb. “Our philosophy is simple, we use only the best produce from the best local suppliers and treat them with care and attention to detail.” That’s the motto used by Kate Lawlor, the Head Chef at Fenn’s Quay. And, after a very enjoyable mid week meal at the city centre restaurant, I can verify that the place lives up to the motto and indeed extends its care and attention to its customers as well. The overall menu has been trimmed back in recent times. 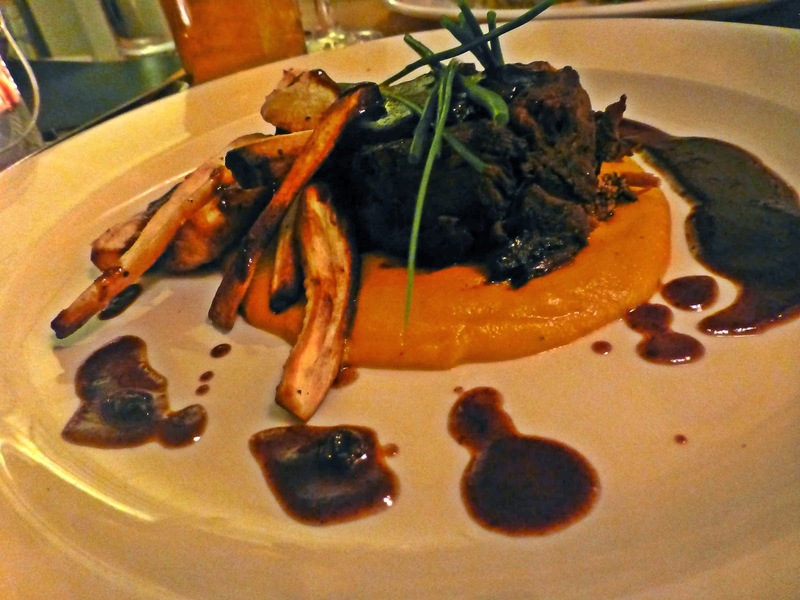 The quantity of dishes available may be down but the quality is as high as ever, maybe even more so. In any event the regular menu is augmented by a tempting selection of specials: a Mezze Platter, a Fish Platter, Beef Stroganoff with Ballyhoura Mushrooms and Pan-Fried Monkfish with Spinach all featured on the night. And, I’m told that O’Mahony’s Collar of Bacon with Savoy Cabbage, Parsnip Puree and Spiced Walnuts is one of the most popular regular dishes. As it turned out, we never got past the Early Bird Menu, Three Courses for €23.00. This is terrific value and is available Monday to Saturday 5.00 pm to 7.00 pm. You may also have a glass of wine or beer instead of the starter or dessert. 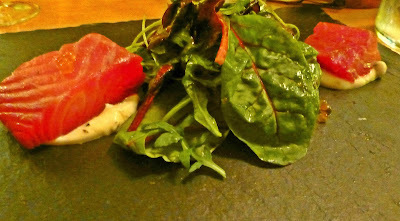 Amazing colour on my starter: Beetroot & Cork Dry Gin Cured Salmon with Goatsbridge Trout Caviar & Mixed Leaves. Fantastic flavours and textures also. CL also got off to a terrific start with Crozier Blue Cheese Mousse, Roast Butternut Squash & Red Onion with Melba Toast. I reckon Kate has raised the bar here and thrown down a challenge to other local restaurants (and chefs!). And that challenge, all very friendly, of course, was evident in my mains: O’Mahony’s Feather Blade of Beef with Roast Root Vegetables & Dungarvan Stout Gravy. What a gem of a dish. 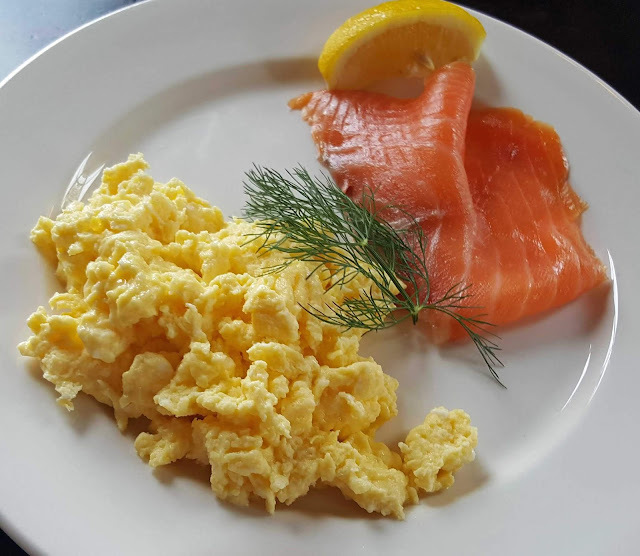 A few simple ingredients on an uncluttered plate but put together in a simply scrumptious way, a delightful practical illustration of the philosophy of the Fenn’s Quay motto. 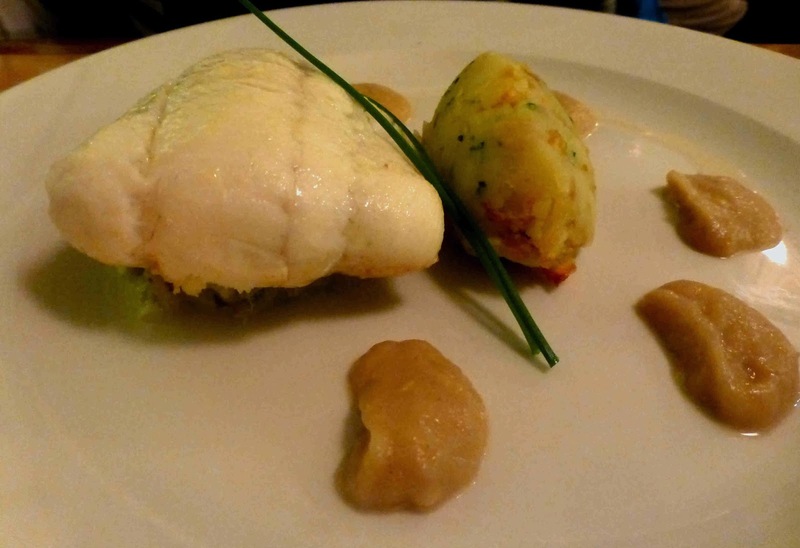 And that simplicity of produce (not to mention its provenance and freshness) and presentation was also very much in evidence in CL’s main plate: Grilled plaice, with braised leeks, olive oil crushed potatoes and onion puree. Simply written. What bit don't you understand? What bit would you not enjoy? It was, of course, aided by the Fenn’s Quay kitchen alchemy, the final result delightfully adding up to more than the sum of its parts. And, this special, even if it were not part of the Early Bird, is really good value at €15.00. Still had room for dessert and here we went with the spirit of the season and tucked into the Fenn’s Quay Mince Pies with Cream (gorgeous buttery pastry), just one each mind you as we shared. 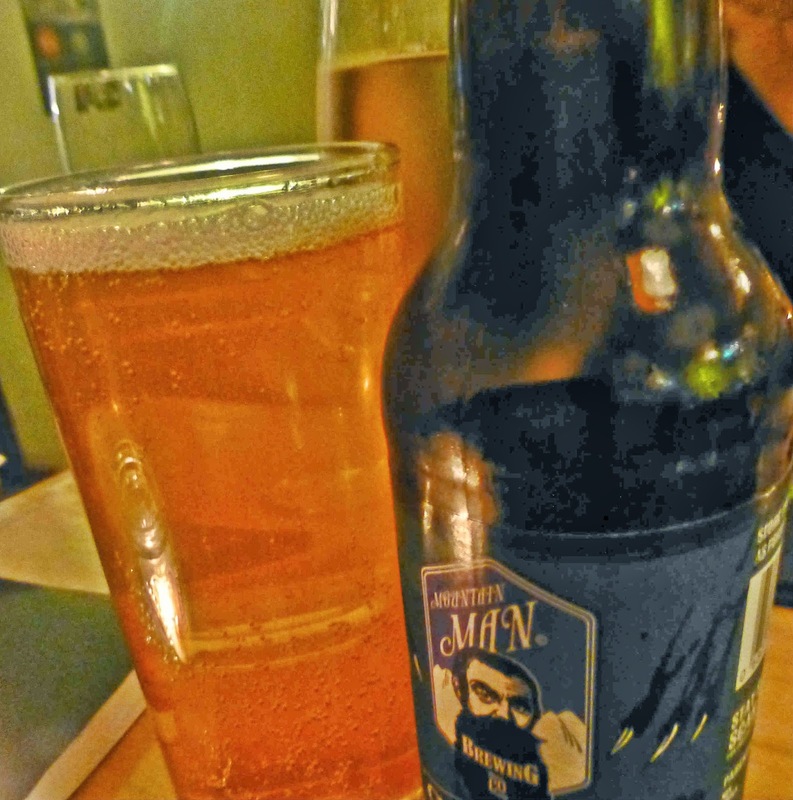 Drinks (a white Rioja for her, a refreshing Mountain Man Green Bullet ale for me) bought the total bill to €50.00. 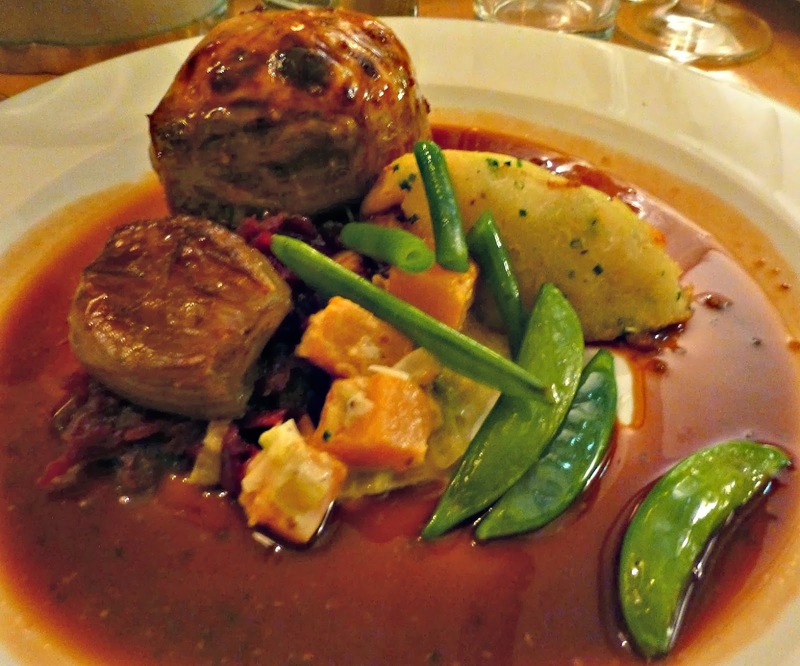 Fenn’s Quay is highly recommended for breakfast, lunch and dinner and do watch out for their Christmas meals as well. You won't be disappointed. Walked in out of the mid-week rain to a warm welcome in Fenn’s Quay. We were quickly seated and no delay either with the menus. But it was the Specials Board that caught the eye as we decided on what to eat for lunch at the long established city restaurant. 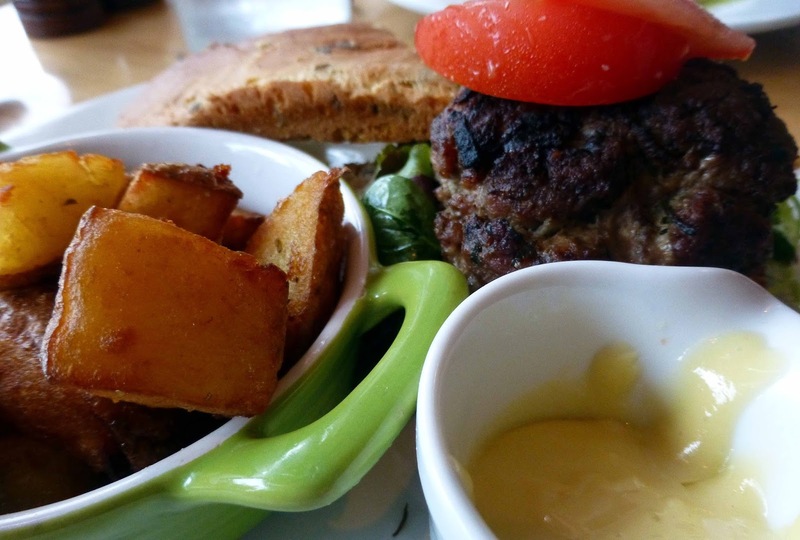 I spotted the O’Mahony’s Lamb and Rosscarbery Black Pudding Burger with toasted seaweed and brioche bun and rustic potatoes (14.95). My server was very enthusiastic about this one. And it was terrific, great meat as usual from O'Mahony’s in the English Market and, though I might have preferred a few more hints of the black pudding, it was a terrific dish. Also, I liked the use of the brioche here. 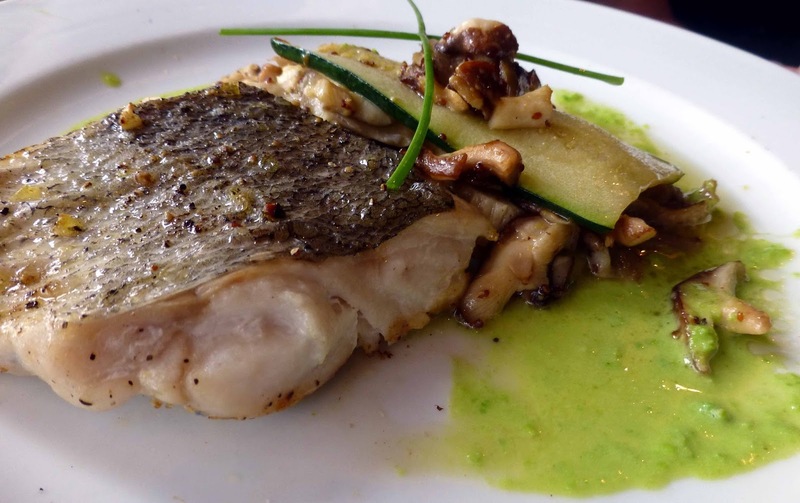 CL also picked from the Specials Board, going for the Baked Hake, with courgette, Ballyhoura Mushrooms with pea cream and rustic potatoes (14.95). This was a thoughtful blend, really well cooked and great to see another local product given a chance to shine. 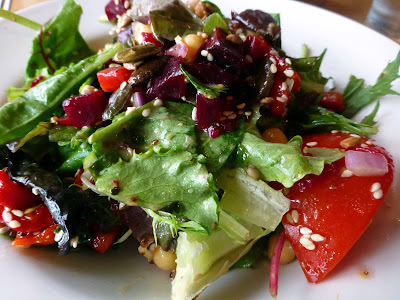 I was delighted with my vibrant starter, the smaller size of the Fenn’s Salad with toasted seeds, chickpeas, and beetroot with honey mustard and dressing. It looked well and tasted just as well, almost juicy with lots of flavours. 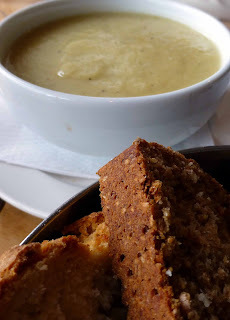 The soup of the day was Celeriac, a favourite of CL’s, and this was top notch also. Service was excellent and, all in all, our lunchtime visit to Fenn’s Quay was a bright interlude in a rather miserable July day. Kate Lawlor's "Cork on a Fork recipe book"
‘Cork on a Fork’ recipe book. Popular chef Kate Lawlor, of No. 5 Fenn’s Quay Restaurant, Sheares Street Cork, has cooked up a quirky new Cork-themed recipe book in celebration of the year of The Gathering. 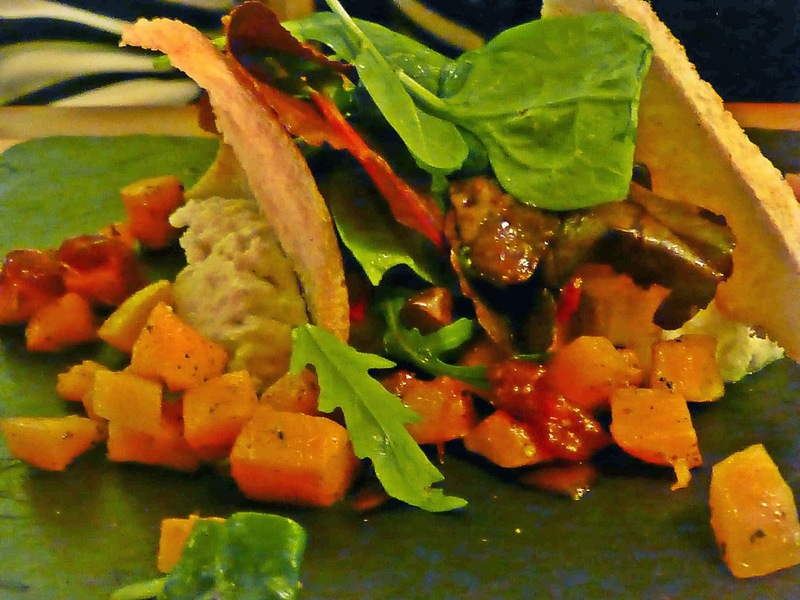 Entitled ‘Cork on a Fork- with a few spoonfuls from across the border’ it pays a foodie tribute to the ‘Real Capital’ with 14 interesting recipes with ingredients drawn from the best of Cork’s rich hinterland. Kate Lawlor has always been inspired by fresh, local produce, and ‘Cork on a Fork’ is the result of a life-long love affair with Cork-inspired cuisine. She is known both nationally and locally for her passion and flair for food and is acclaimed by several food critics. Her award-winning food blog (www.fqchefess.blogspot.ie) is legendary, and she is a popular driver of foodie ‘tweet-ups’ and charity foodie events within the Cork area and elsewhere. She’s very proud of No. 5 Fenn’s Quay’s Michelin recommended status, is on the council for the prestigious Eurotoques organisation as well as a member of the Irish Restaurants Association. The team at No. 5 Fenn’s Quay are in a real sunny spot at present as they were nominated for ‘Best Digital Marketing’ at the Irish Restaurant Awards and are rolling out their summer menu full of light bites and fresh seasonal dishes like Ballyhoura mushrooms on toast with wild garlic & seaweed butter, Castletownbere scallops with Rosscarbery white pudding , carrot gel & bacon dust and The Fenns ice pop. Head chef and proprietor of No. 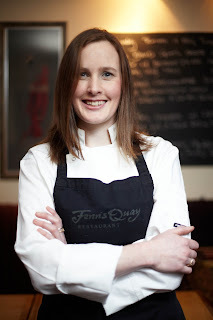 5 Fenn's Quay, Kate Lawlor, will be on tenterhooks on the night of April 23rd when the winners of the Munster Region of Restaurant Association of Ireland Awards will be announced in the Imperial Hotel. Kate won’t be on her own as quite a few local restaurants have been nominated. Her popular Sheares Street venue has been nominated for three of the most coveted awards in the Irish restaurant industry. The Awards recognise achievement and excellence in the Restaurant and Hospitality Industry, and No. 5 Fenn’s Quay are nominees for Best Restaurant in Cork, Best Customer Service and Best Chef. 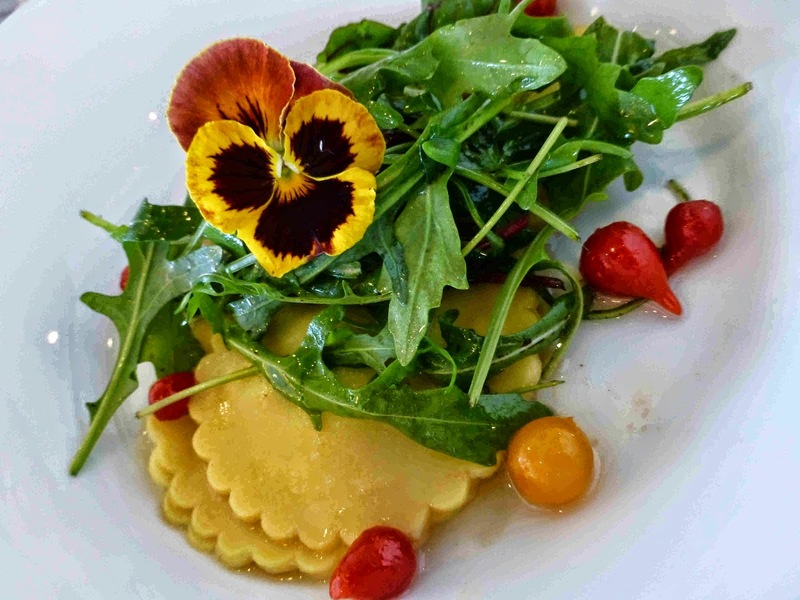 The Best Restaurant category recognizes ‘The very best in a dining experience, as evidenced by attention-to-detail, a well-structured, balanced and appropriate menu, exemplary customer service and suitable atmosphere’. The Best Customer Service award goes to the nominee which ‘demonstrably goes above and beyond a normal level of service’ on a consistent basis, and the Best Chef is chosen based on the ‘approach, design and execution of dishes’ and their dedication to ‘push culinary boundaries in Ireland’. Kate: “We are thrilled to have been selected as nominees for these awards. This is the second year in a row that we have been recognized by the Irish Restaurant awards, along with our 2012 nomination for Best Wine Experience. It is proof that our simple philosophy of using only the best produce from the best local suppliers, and treating it with careful attention to detail, is really paying off”. Nominations for the Awards are made by readers of the Sunday Independent LIFE Magazine and members of the Restaurants Association of Ireland. The nomination & awards selection process is also independently audited by KPMG to ensure that best practices & standards have been adhered to throughout the process. It is a detailed and thorough process whereby nominated Restaurants face rigorous scrutiny from the Consumer, Regional Judges, a Mystery Guest Visitor and finally the National Awards Academy. The All Ireland Awards are on Monday 10th June 2013 in the Burlington Hotel Dublin.